X-Men: First Class rewrote the X-Men mythology by inserting the characters into a few key moments in American history, turning them into major catalysts for the Cuban Missile Crisis. But in X-Men: Days Of Future Past, history is getting a major mutant facelift. We heard faint suggestions of this shift from the viral marketing surrounding Magneto's ties to the assassination of President Kennedy, but a new website opens that world up to reveal an entire twentieth century chronicle of the world as shaped by mutants. -This might be the second most expensive film of all-time, and yet, like every major blockbuster, the photoshop work looks really crappy. 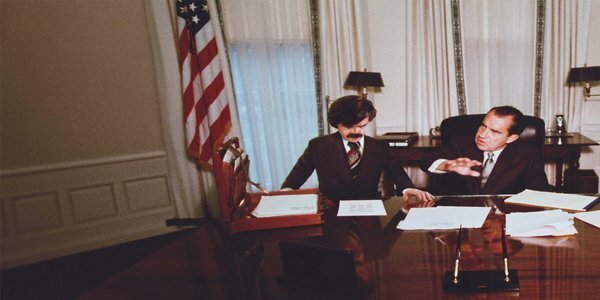 Great job inserting Peter Dinklage under the gesticulating arm of Richard Nixon, guys. -The first X-Men took place in the "not too distant future." Guess this was a "PSYCHE!" moment, and it was really only a couple of months into the future: this timeline establishes that the contemporary X-films all happened in our regular time period. -Does anyone think it's distasteful to insert make-believe superpowered characters into real life events including the fall of the Berlin Wall, Occupy Wall Street, apartheid and Guantanamo Bay? Just me? Okay. -In the X-universe, they use a nation named Genosha for mutant containment camps in an echo of the Holocaust. Here, they've done away with inventing places: unruly mutants are collared, depowered, and sent to Camp X-Ray. Michael Moore would be outraged! 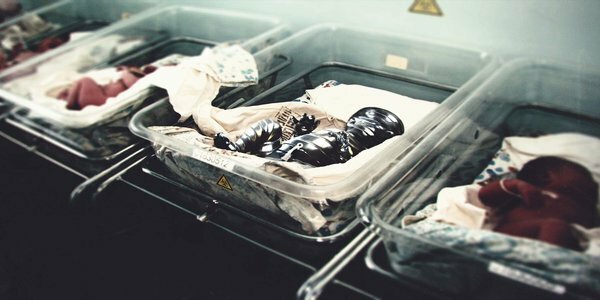 -Adorable baby Colossus comes out of the womb completely metal, which must have been an arduous childbirth. His mutation is credited to Chernobyl, but later he is seen helping with the cleanup effort at the Golden Gate Bridge in the wake of The Last Stand. Good for you, Colossus. -Storm apparently does a lousy job running Xavier's School after his death. Only four years after The Last Stand, Trask Industries seizes the house and places Sentinels in charge. Presumably, Wolverine is off having adventures in the hinterlands. -Things don't go well for Ben Foster's Angel, who is murdered during a peace demonstration in 2011. And in 2015, Beast is flat-out ripped from his home and murdered. Dude. 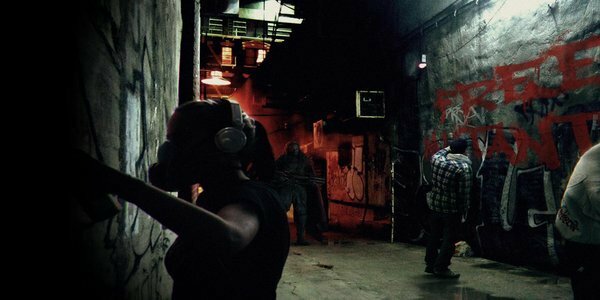 -The timeline ends at 2018, where Camp X-Ray escapee Bishop has created the Free Mutants movement in the face of advanced Sentinel technology. This is presumably when Days Of Future Past begins. How much of this sticks for X-Men: Apocalypse? We'll see when X-Men: Days Of Future Past opens May 23rd.